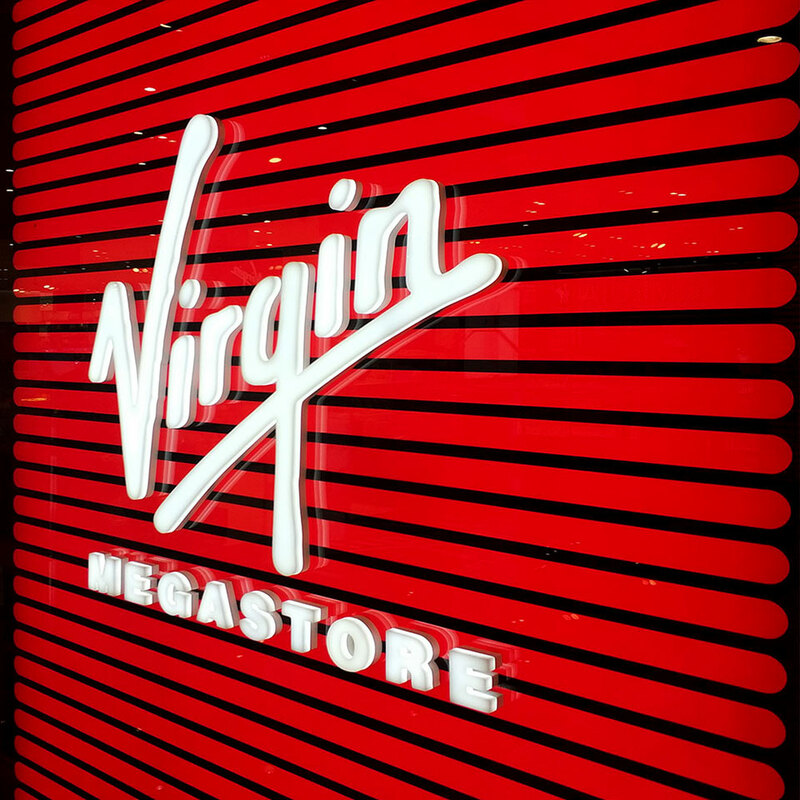 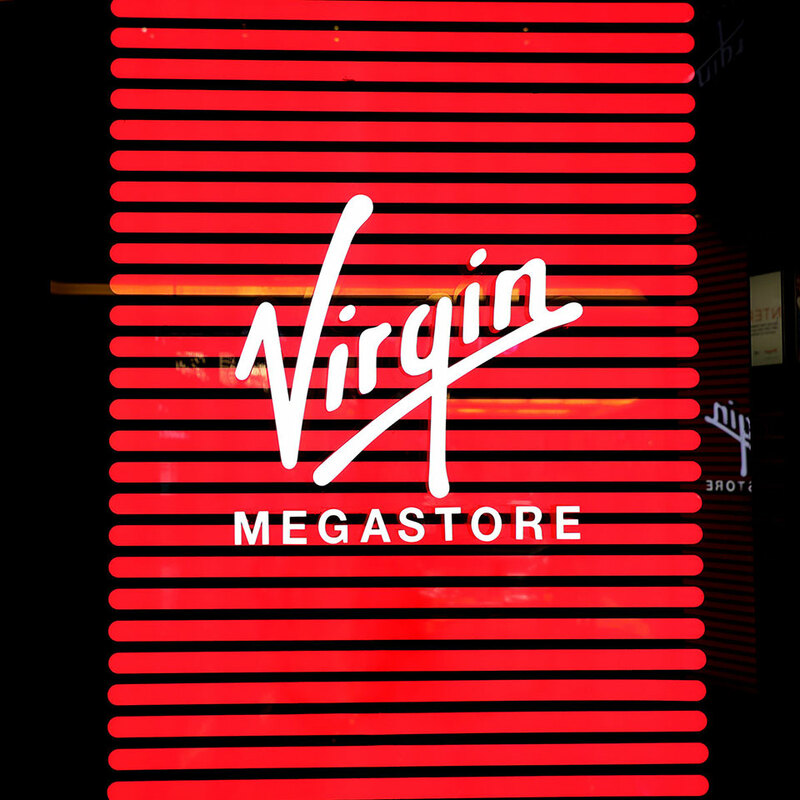 Virgin Megastores is an international entertainment and retail chain, founded by Sir Richard Branson as a record shop on London’s Oxford Street in early 1976. 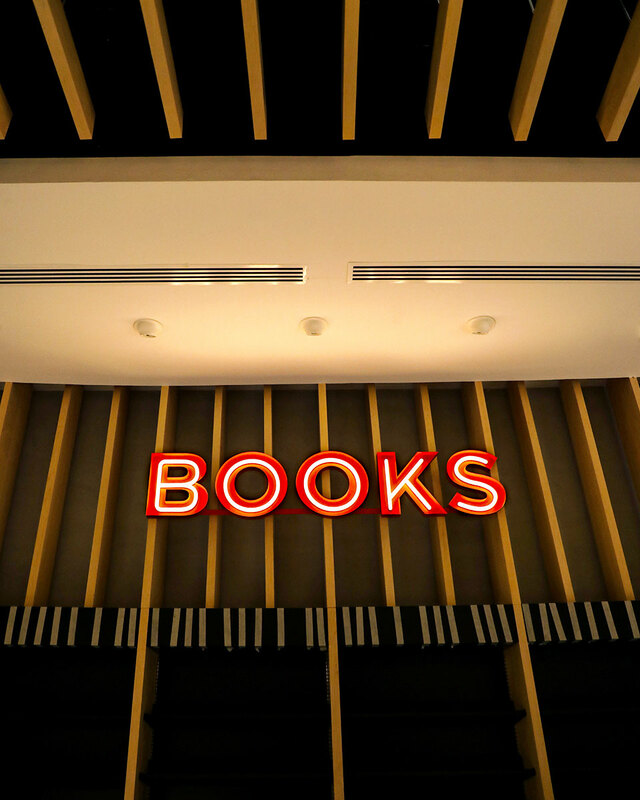 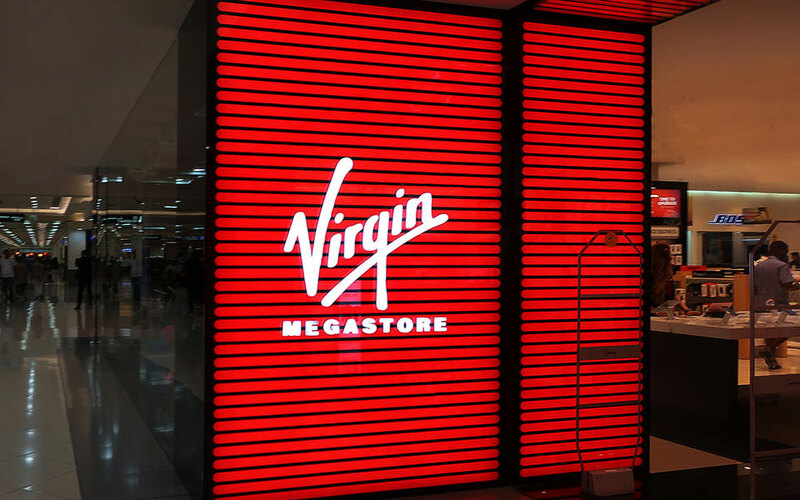 Their products range from music, movies, and books, as well as other product categories including electronics and accessories, gaming, gifts and toys. 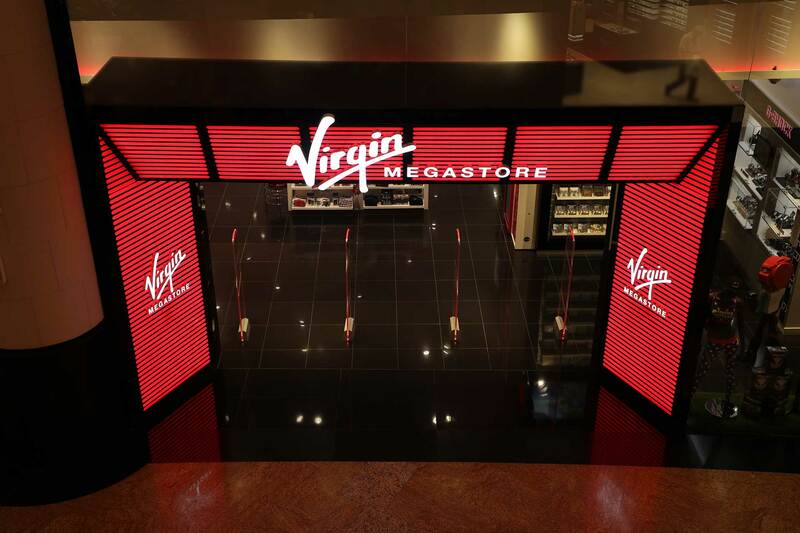 For its flagship store in Mall of the Emirates, Virgin engaged Blue Rhine Industries to engineer and supply the entrance signage to the store. 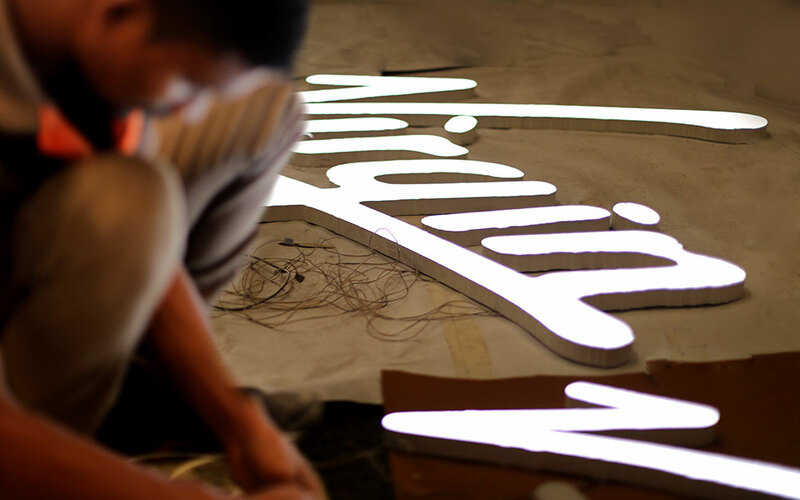 We were tasked to implement the signage guidelines and to remain globally compliant with their brand standards. 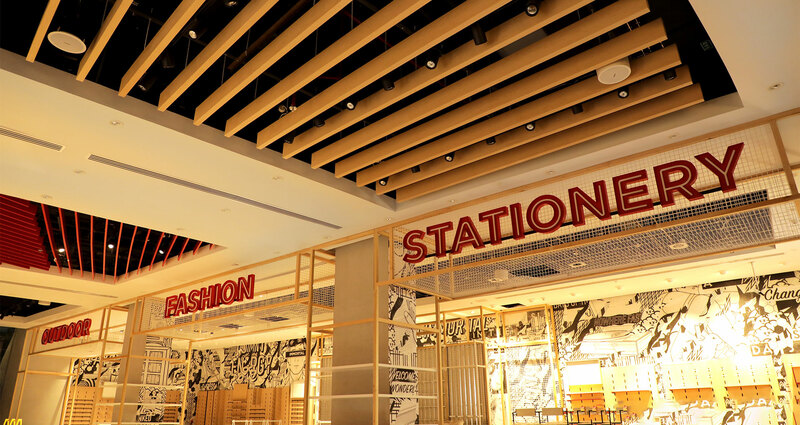 The result was an impactful initial customer experience and gateway into the store to attract and welcome visitors. 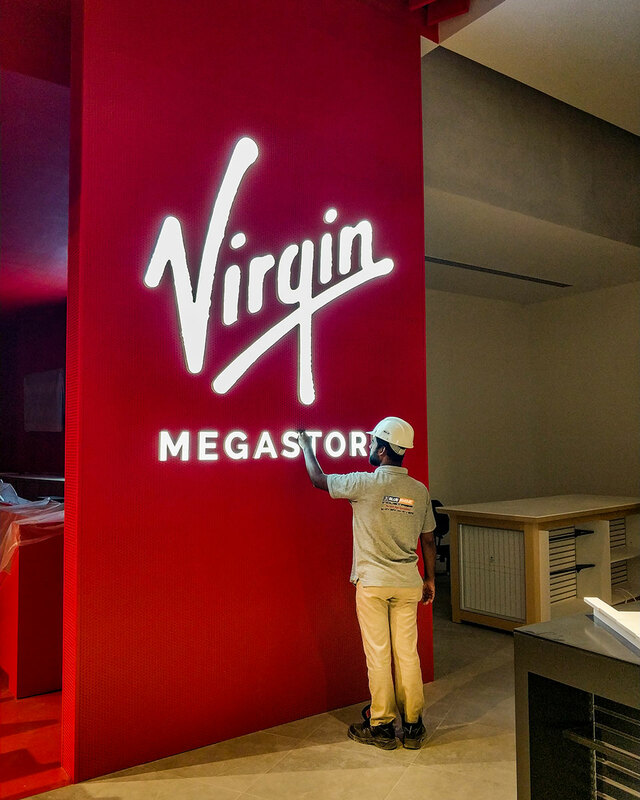 Implemented overnight to avoid disruption to the client’s operations.